By Anna Rodriguez in Toolkit. Updated on August 3, 2018 . Chances are a lot of your work and projects are done online. However, you and your boss may have a hard time prioritizing tasks that are more important than others. Because of this, a need for managers to use multiple online collaboration applications arises. Moreover, this is also the time when the necessity for the use of task management tools come in. 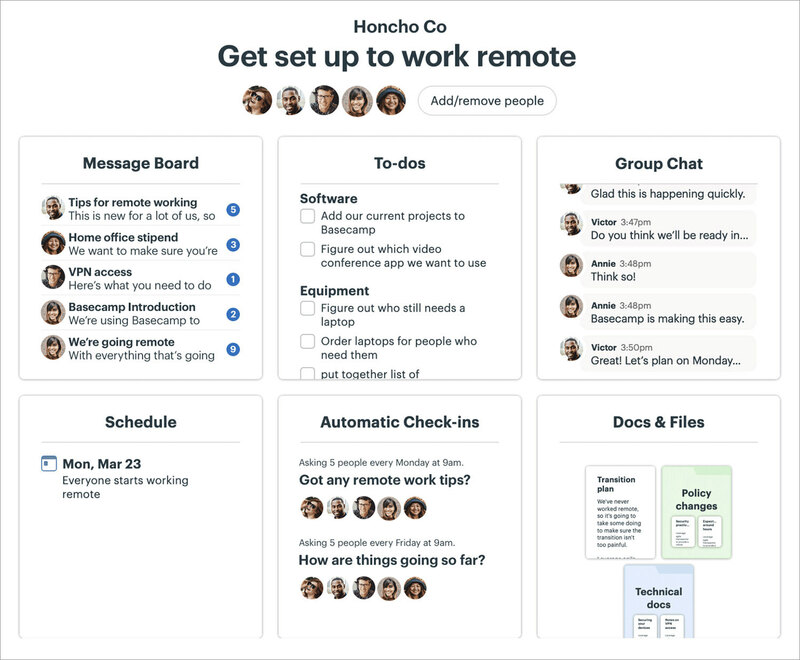 Online collaboration tools help keep your manager, team members and yourself constantly updated with changes in projects that you may otherwise overlook. If there are many updates and modifications on the project instructions and project itself, updates are readily available in the control panel. Here’s a look at 10 Collaboration Apps that you, as a project manager, can utilize. Need to keep track of your tasks and keep your team members in the loop as well? Try Producteev. Producteev is a social task management platform that allows for important task-related details to be posted to several people at once. Producteev lets you produce as many projects as you wish, with the details and updates on the projects posted to as many teams and participants that you wish to include. 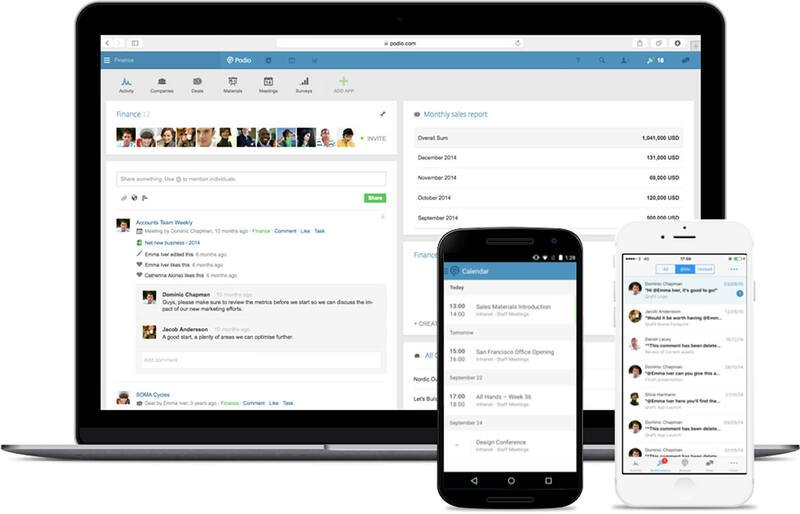 Social media collaboration tools such as Podio allow you to create a “hangout” with your colleagues in an online platform. Share the stuff at work with selected people. Collaborate or chat with your team members in this regular work space, the only difference is that this is done completely online. This app is ideal for large work spaces. 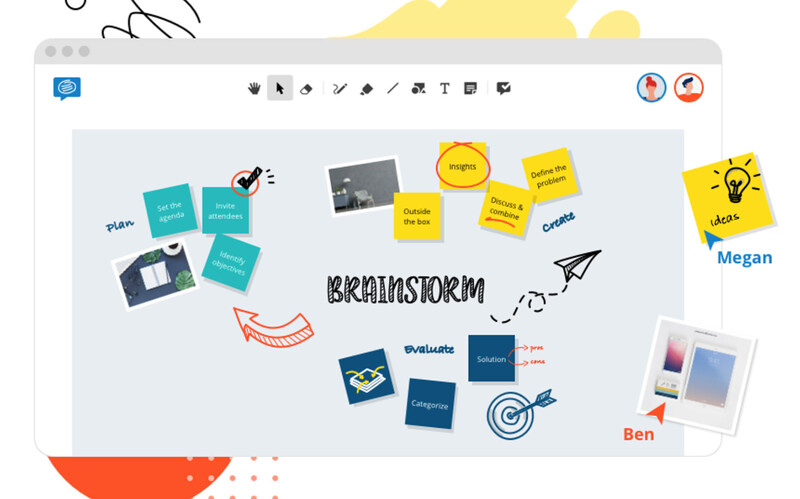 The Conceptboard is an easy-to-use centralized live sharing whiteboard platform that lets you share the things you post on the whiteboard with other team members. Live sharing sessions lets everyone in the meeting see which part of the whiteboard other members are viewing as well. It’s an ideal app for virtual managers and team members that cannot attend in-person meetings or conference sessions. Basecamp provides the option for an individual to choose which team members are able to see details of certain projects and which are not able to see them. It is a convenient way for anyone to coordinate projects by giving them access to files, allowing for ongoing discussions as well as plenty of other things. Basecamp is an ideal app for the manager who wishes to keep certain information and files discreet and confidential from other members. Binfire is very much like Producteev, except that the apps within Binfire are also composed of a centralized interactive live whiteboard sharing and a calendar. Binfire allows the convenience of performing multiple tasks in just one place. Binfire supports the metrics of social media through increasing the progress of professional individual connections online, packed with other creative and useful apps. 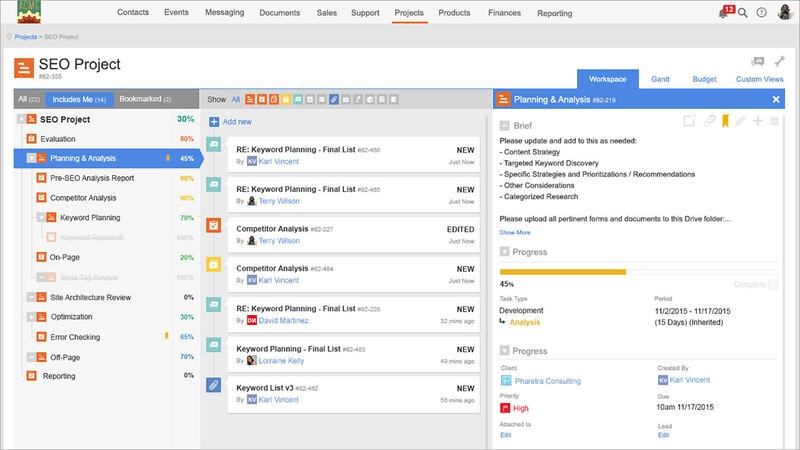 Google Apps may be one of the more frequently used apps for you and your manager. The ease in using it allows even small-sized teams to be able to use them without encountering any hurdles. Google Apps allows you to store files, share files and build project sites and templates. The apps enable you to share the projects you have created with team members for professional and personal purposes. Goplan not only allows you to plan your projects and organize your tasks and files in one place, it also allows you to track the problem within your account and create a ticket. It is ideal for teams dealing with business management collaboration tools. The app provides swift resolution to customer issues through the ticket system thus increasing business through customer satisfaction and loyalty. Goplan also lets your manager keep track of the history of customer issues the team deals with. Glip is basically a modern business messaging app elevated with built-in tools. It not only provides ease of communication but is also well integrated. This app is good for managing content for marketing projects and working out the workload of a team but what really makes it great is that it’s fuss-free and simple to use. Some of Glip’s notable features include Notes, a lightweight collaborative document editing tool as well as unlimited co-workers and guest users for the project you’re working on. If you’re a small business wanting to upgrade to the next professional level, you could consider Worketc. This app provides a preview on the upgrade from a small to a mid to large sized business. It contains a project management and customer relationship management platform, and billing and sales system support. Billing and sales system support helps in enabling your manager and your team to easily use the supplementary customized tools for content marketing. Sometimes using basic apps for marketing in social media is not enough for your team to thrive when managing workloads. If you’re someone who has a large number of staff and workload to manage, ProWork Flow comes in handy with its new next generation tools. 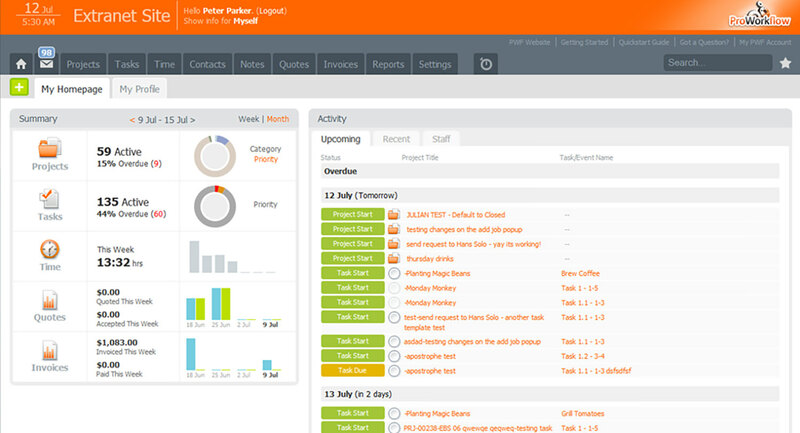 It can help you track and update multiple projects of several team members all in one place. Some of its features include a dashboard for convenient workload overview as well as a timeline and timesheet to help make time management a breeze among various other tools. Choosing the right project management tool would mainly depend on your team’s professional needs. There are a lot of factors to consider before selecting a particular app. Don’t be afraid to offer suggestions whenever you can, though. The new digital age has made it possible for your team to maximize the management of their workload. Ultimately, collaboration tools can improve knowledge work by enabling you to have hands-on and real time experience with new generation apps. As always, it helps to do your research first. Editor’s note: This guest post is written by Anna Rodriguez for Hongkiat.com. Anna is a manager and a passionate writer. She owns Homey Guide Blog. Follow her on Twitter.